We got plugged on the HGTV blog! How exciting is that? 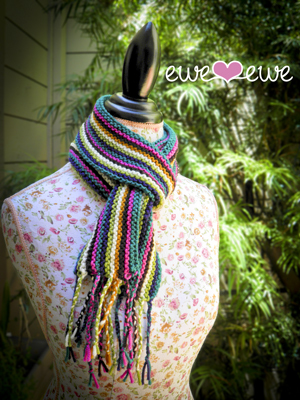 Design editor Kayla Kitts posted a great DIY scarf project that is made from old sweaters. Choose two color coordinating sweaters, cut the arms off, measure and adjust them to the same size, add a little decorative stitching and you're done! A new scarf in just the colors you want. The project doesn't require knitting but Kayla put a link right to our Wooly Stripe scarf knitting pattern as an alternative project for readers that like to knit. Wow! Thanks, Kayla and HGTV!